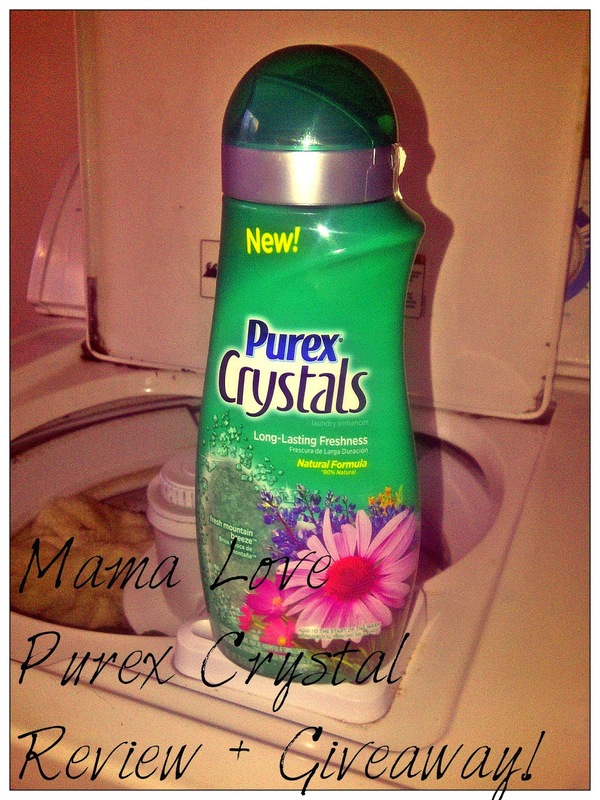 Mama Love: Purex Fresh Mountain Breeze Crystals: Review + Giveaway!! 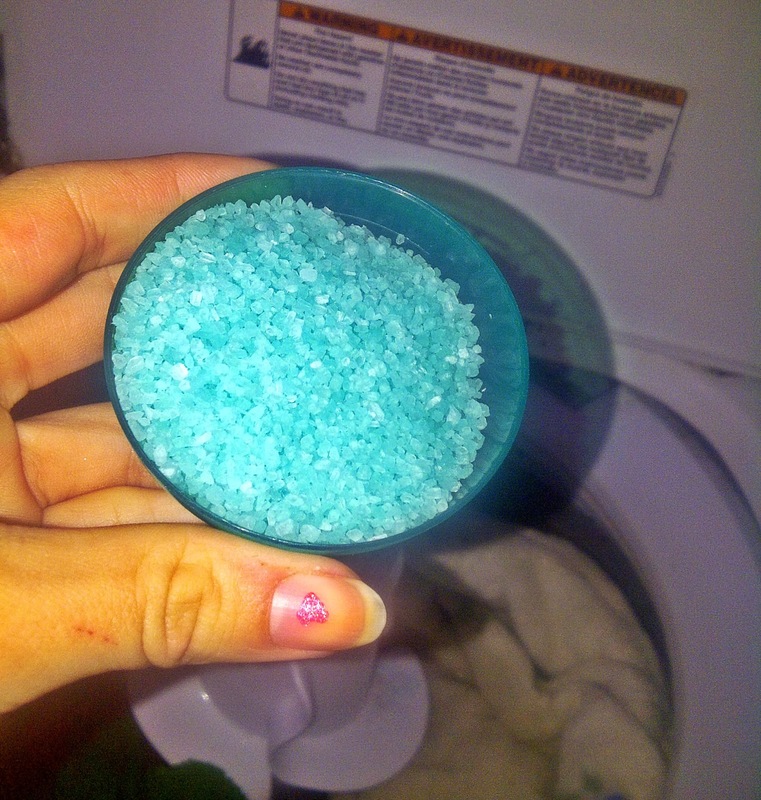 Purex Fresh Mountain Breeze Crystals: Review + Giveaway!! Since Becoming a Purex Insider I have had a Chance to review and giveaway some awesome products from Purex; so when I received a package containing Purex Crystal, Fresh Mountain Breeze, I couldn't wait to try them out! These Purex Crystals are so amazing! They are easy to use and do the job way better than any other fabric softener or laundry enhancers that i have ever used before! All you do is pour the desired amount into the pre-measured cap, more for a stronger scent less for a subtle scent, and pour it in with your laundry! Then wash and dry and clothes smell splendid not only after wash but for weeks after! Everyone Loves the fresh laundry scent but with normal products the scent seems to fade really quickly, but with Purex Crystal Laundry Freshener the lovely scent last for a long time, it's really nice to pull clothes out of my closet and smell the fresh laundry scent! Clothes Stay Fresh For Weeks not Days! Does Not Reduce the absorbency of Towels! Natural Formula is Safe for your Family and the environment! I am a laundry addict, I wash clothes as soon as they are dirty, enjoy washing and putting them up, and I want my family's clothing to radiate with a fresh laundry smell! I know I'm weird! I Like to have my clothes not only look clean but my clothes smell fresh! So Purex Crystals are perfect, they eliminate odors, have a great scent, are safe for all your laundry (towels active wear kids clothes you name it) and are made from Natural ingredients which is always a plus! As soon as my package of Purex Crystals arrived for review I was so anxious to try them out, and I had no laundry dirty, so I quickly ran and stripped my son's bed just to wash and test out them! First off they are so so easy to use, as explained above, you just measure and pour in, they are also safe for top and front loading machines!! As soon as I opened the bottle my laundry room was immediately filled with a fresh scent, so I was very excited to see if that lovely scent would truly hold up through wash and drying! And it did! My laundry smelled wonderful while it was drying and as soon as i took it out the scent was still there, not too overwhelming but just right! I replaced my son's bedding and of course didn't tell him about the new product no one in my house cares to hear about laundry, especially at 7 year old boy: but that night when he got into bed he kept talking about how good his bed smelled and how soft it was, so naturally my girls were jealous so I had to wash all our bedding the next day! The Purex Crystals have worked wonders for us: I'm almost 100% sure that they will replace our normal fabric softeners, because they not only smell great but I feel like my clothes felt softer with less static, and I have tried almost every type of fabric softeners on the market from standard dryer sheets to those darn bars you stick in your dryer and nothing compares to these Purex Crystals! They do not leave that caked up greasy residue like most softeners do, they are a perfect balance of scent and softness! 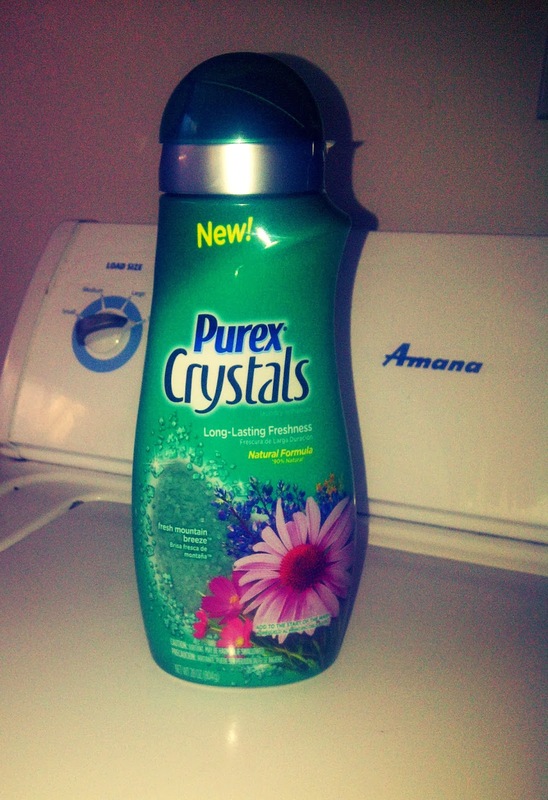 Purex Crystals will definitely become a regular in our house! Vacuuming: Sprinkle a few in your vacuum bag or canister for fresh scent while vacuuming,Also you can sprinkle them on the carpet before vacuuming! Homemade Air fresheners: Just sprinkle some crystals into little cloth bags and tie and place them around your house! Car: Once again sprinkle some into a breathable bag and place under your car seats! Freshen your Furniture: I sprinkled a few under my couch cushions, if you don't want them loose under your cushions you could place them in a bag also but i have had no problem with just sprinkling them directly under the cushions! That's all I have used them for so far, I'm sure I'll find more ways, and if so I will be sure to update you. If you have any other ideas on how to use them Leave a comment I'm dying to find more ways!! Overall I LOVE LOVE LOVE These Purex Crystals! 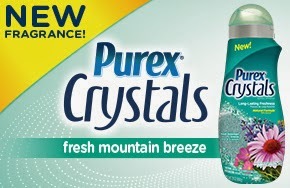 Right Now Purex has a great giveaway going on, To Celebrate the NEW Purex Crystals Fresh Mountain Breeze, The Purex Brand is hosting a Sweepstakes. One Grand Prize Winner Will Receive $500 While 100 Second place winners will receive a coupon for FREE Purex Crystals Fresh Mountain Breeze! Want to Win 3 free bottles? 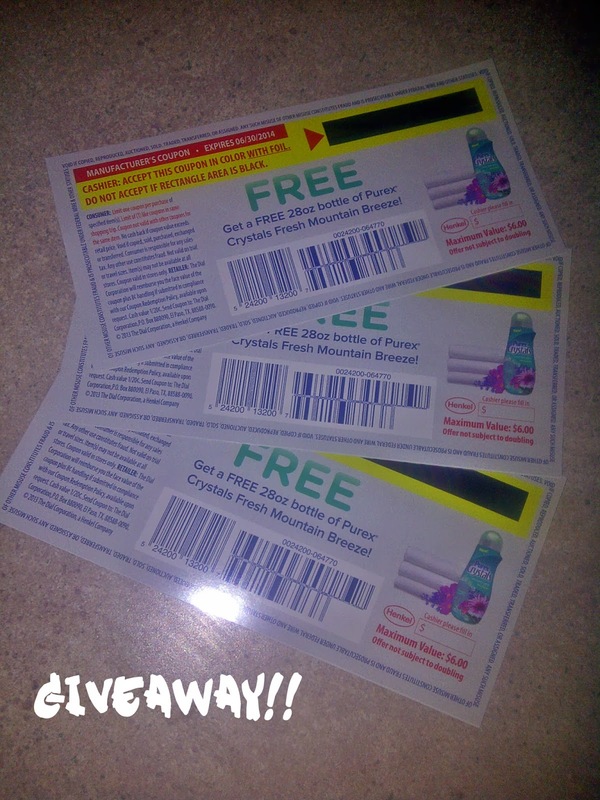 I am giving away, to 1 lucky reader, 3 free coupons for Purex Crystals Fresh Mountain Breeze for you to try out in your home! "The Purex Brand provided me with a sample of Purex Crystals Fresh Mountain Breeze exchange for a product review. 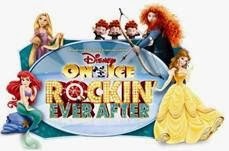 However ALL the opinions expressed here are my own!" My tip for laundry is to do the quick wash, and that will help save time! I keep up with all the laundry as soon as I get a full load so it isn't overwhelming. I like to use vinegar to boost my detergent's cleaning power. I would say to wash as many clothes as you can at once to save washing more than one load. My only real tip is to stay on top of it. Don't let it sit or it will start to multiply and you'll never catch up! If the stain doesnt come out the first time try it in hot water again once u dry the stain is set. Use cold water in the washing machine. Using warm isn't always necessary.